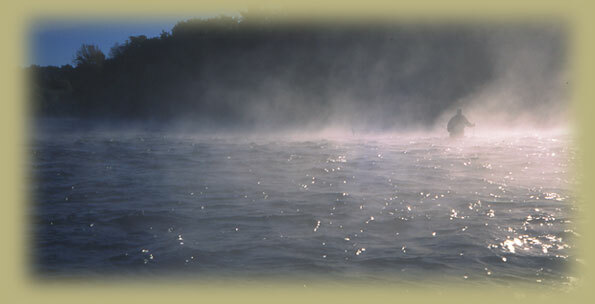 Kennebec River driftboat trips, fly fishing instruction, exploring small streams, or catching an evening rise. These are just a few of the many opportunities we offer. Kingfisher River Guides is a small independently owned and professionally operated guiding service whose sole purpose is to provide the best fly fishing experience possible. We offer trips along the Kennebec River and beyond. Please browse our site for more detailed information on our trips, our philosophy, and other related topics. Our "Contact Us" link will provide you with all of our pertinent information. We look forward to hearing from you. Click here to visit Kingfisher River Guides new blog. © 2006-2010 Kingfisher River Guides. All images are property of Kingfisher River Guides and may not be used or reproduced without explicit permission. Page last updated on 05/05/2010.